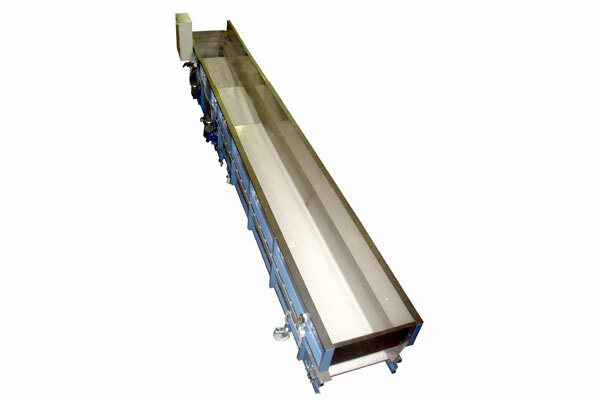 Trailer off-loads herbs directly onto the sistem of belt conveyors. The sistem of belt conveyors is dosing material therefore the labor force participation is not required. 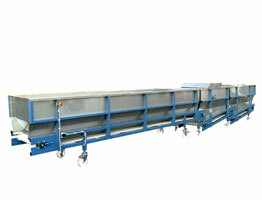 This belt conveyor consists of 3 smaller conveyors and each conveyor has its own engine with speed regulation. 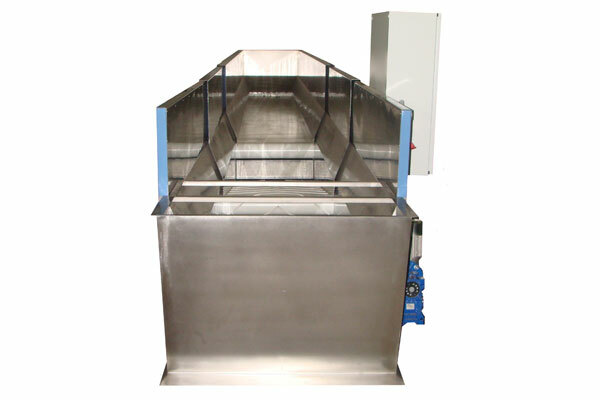 By adjusting the speed it is possible to control the dosing of the material. 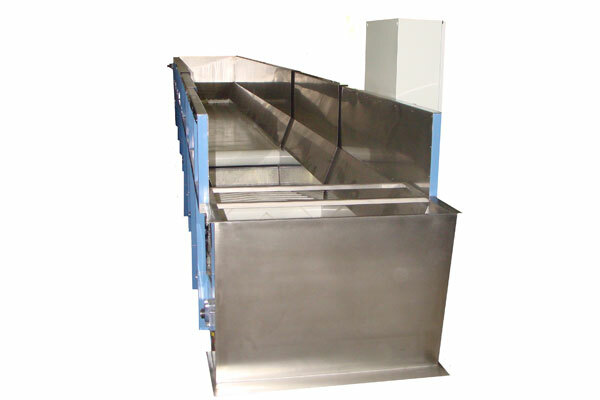 The conveyors are equiped with pneumatic unit which opens sides. 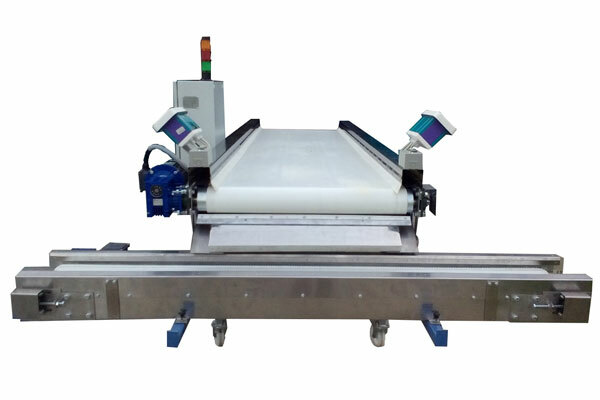 The machine is made of INOX and belts are with ribbed borders. The unit replaces a large number of people.